Sandwiched between the Pacific and Indian Ocean lies the wonderful Island country of Australia. The country is considered to be the world's sixth largest country by geographical area. Australia is home to several small island cities. The Island of Tasmania is said to be the largest and most beautiful destination of the country.The capital city of Australia is Canberra which is the eighth largest city of the country. The people of United Kingdom can expect a delightful and adventurous stay at the Island. The popular cities for tourism in the country areSydney, Perth, Adelaide, Melbourne, and the Great Barrier Reef. Moreover, the country offers its visitors with Aquatic and Coastal experiences, scrumptious Australian food and wine, unique wildlife animals, and a plethora of holiday itineraries. The National Animal of Australia is the Kangaroo. The Aussies have an abundant number of Parks and Zoos where the Kangaroos are found in excess. Moreover, other animals such as the Koala, the Australian Dingo, the Tasmanian Devil, the Wombat, Quoll, and Green tree frog are also quite popular in the country. The overall climate in the country is moderate and charming. The tourism destinations are visited by a mammoth number of guests throughout the whole year. 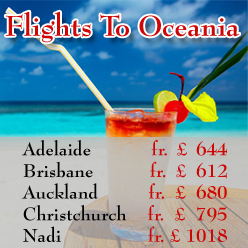 TravelWideFlights is offering Cheap Flight deals to Australia. 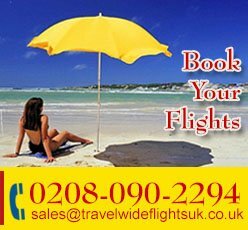 The clients can travel with the most popular Airlines of the world including Air China, Emirates Airlines, Cathay Pacific, British Airways, Qatar Airways, and Qantas Airways. We can also provide our clients with bookings and reservations in the most luxurious and beautiful resorts of the country. For guidance and assistance on your travel plans to the beautiful Island country of Australia, contact our team.